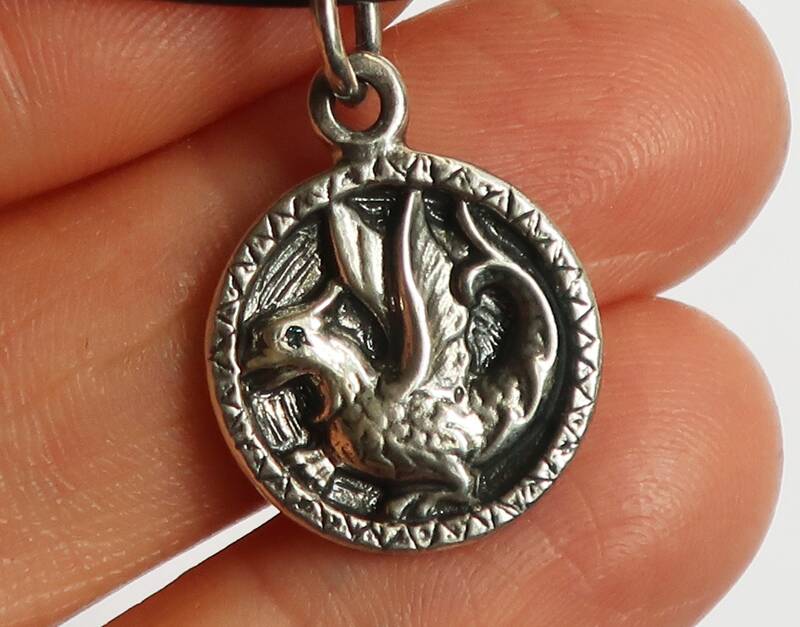 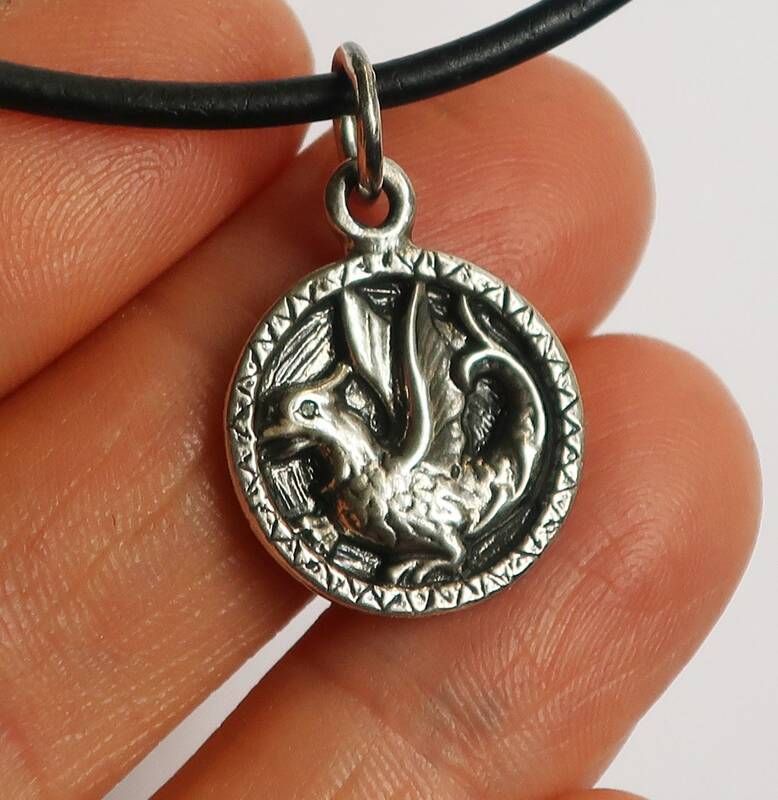 Molded and cast from an Antique Parisian button, this Baby Dragon medallion is cast in solid Sterling Silver with a .9 mm genuine blue diamond eye. 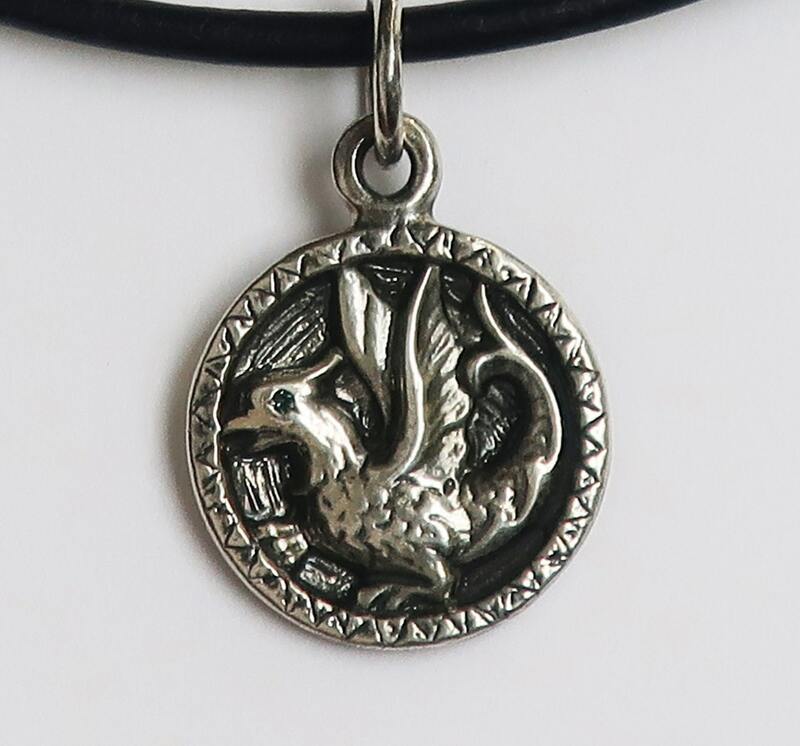 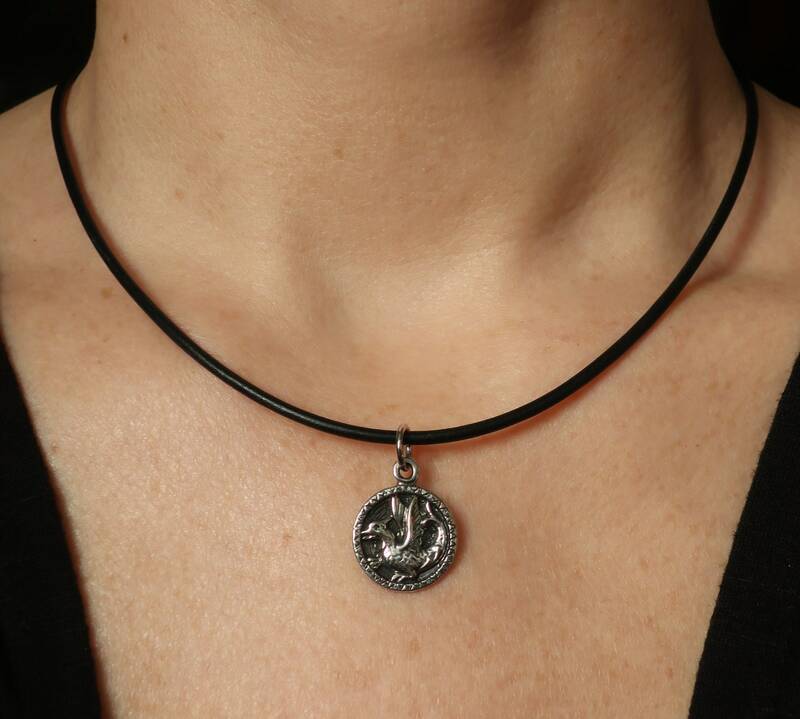 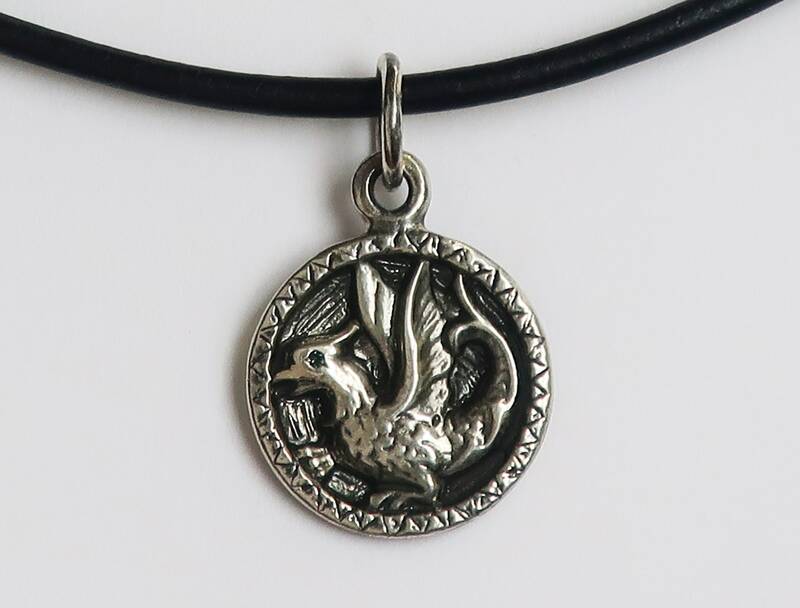 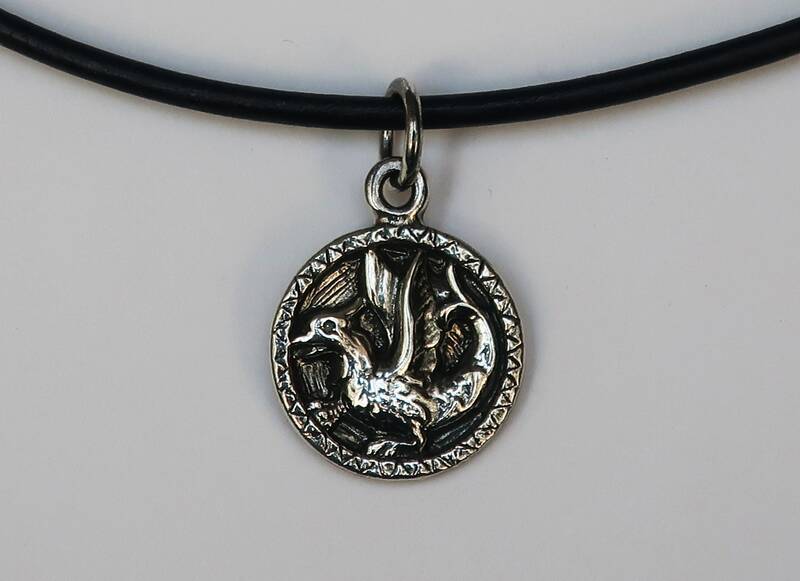 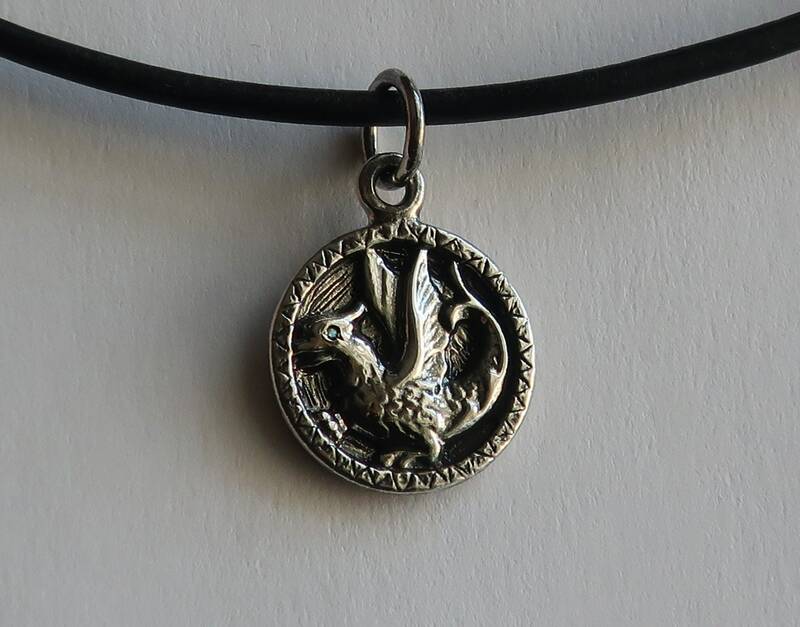 The medallion/charm is available on its own (to be hung on your own chain) or hung on a 40.5 cm (16") black leather cord with sterling silver clasp. 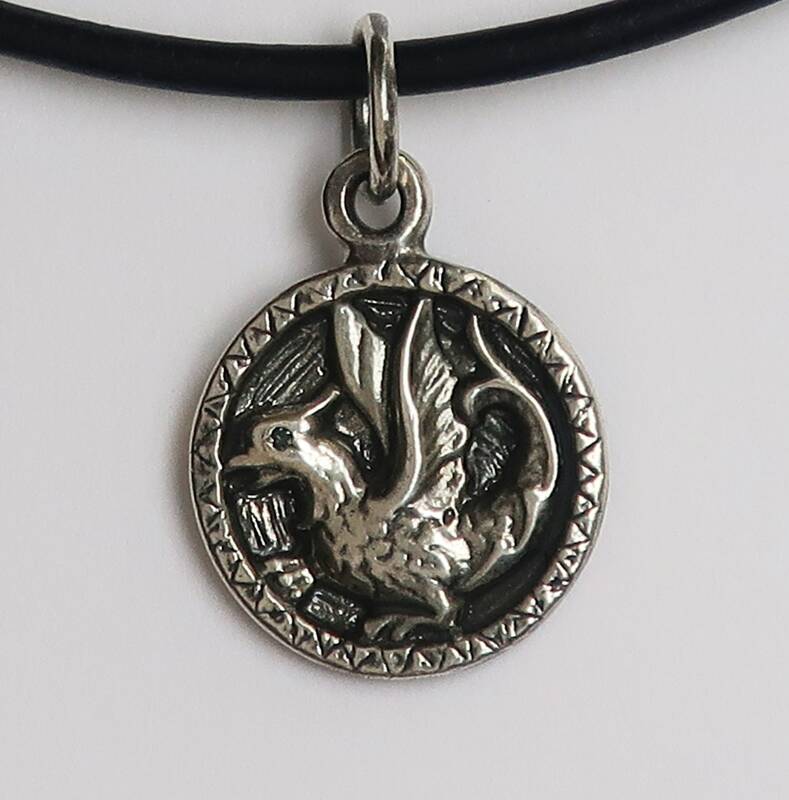 Charm measures approx. 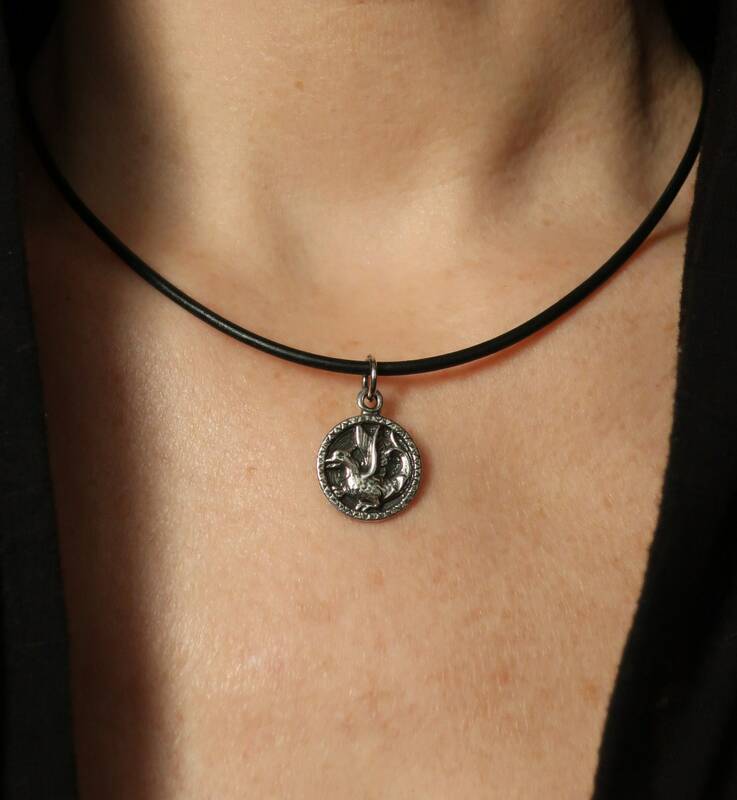 1.6cm in diameter with a 2.8mm depth and it weighs approx 4 grams (.14 oz).